And then came the day, last year, when I stopped drinking coffee. There’s not much else to the story, besides that I couldn’t get out of bed and had a splitting headache for a full 24 hours. But after that, I was fine! And you know what? After that initial day of misery, I actually found I had MORE energy when I avoided caffeine altogether. I had read quite a bit about how coffee can contribute to adrenal fatigue and is just a general bummer for your overall health. I know there are articles out there that claim it’s good for you, but I didn’t like being dependent on coffee to the point where I even had to have a cup in the morning when I was camping. I will admit that I still have the occasional cup of coffee, but I save it for outings with friends. 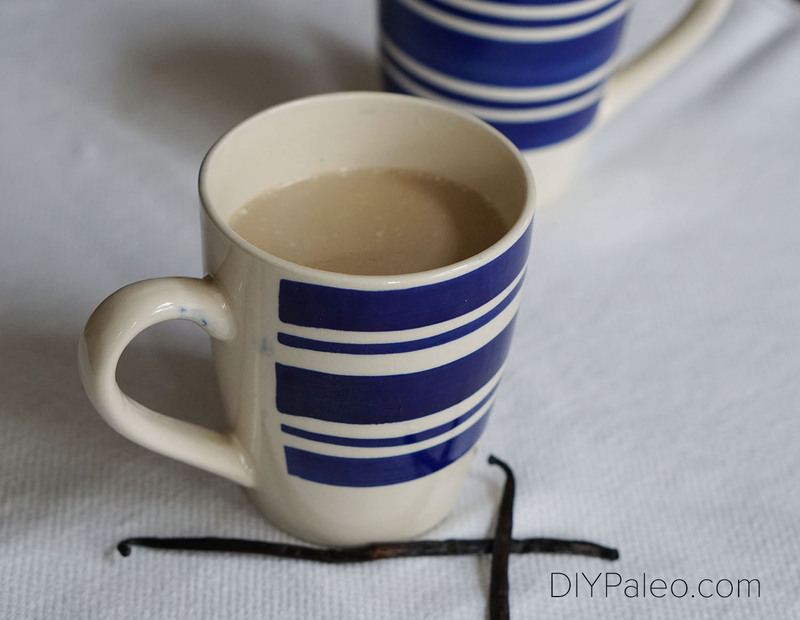 And for those days when I just miss the taste of coffee, I make this dandelion root latte. 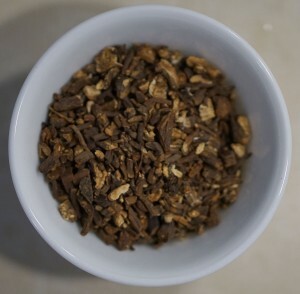 Dandelion supports the liver, and when boiled, the roasted root is the closest coffee substitute I’ve ever tried. Plus it kind of smells like chocolate cake. If you’ve never made roasted dandelion before, buy a bulk bag of it (I got this one on VitaCost) and follow the instructions below to roast it. The initial roasting takes a few hours, but the end product has a shelf life about as long as tea—so it’ll last you a while. Note that this is NOT, however, the same thing as dandelion tea! To roast dandelion root: spread root pieces on a baking sheet and bake at 200º for 4 hours, turning every hour or so. Remove from the oven when all pieces have turned dark brown (but aren't burned!). Store in an airtight container in a cabinet. Place 2 Tbsp. roasted dandelion root in a small saucepan with 2 cups of water. Bring water to a boil, then reduce heat to medium-low and simmer 20 minutes. Add coconut milk and vanilla. Stir and enjoy.